Indonesia’s planning minister has said the country will choose a low-carbon development pathway after a government report found it could significantly boost the economy. 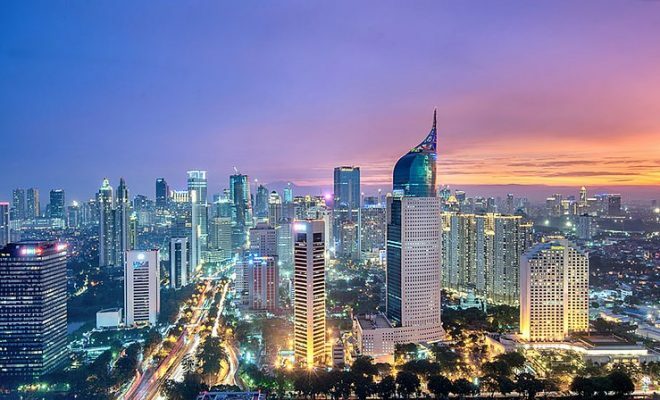 By 2045, the centenary of Indonesia’s independence, citizens could be as wealthy as those of the Netherlands or Germany today, the report found. But it will need to make careful choices across all sectors of the economy. The report, which was co-authored by the global think tank the World Resource Institute, Norway, Germany, and the UK, found that primary forests would need to be preserved through full enforcement of the current moratoria on palm oil and mining. It should also cut reliance on coal power and aim for a 30% share of renewable electricity by 2045. By choosing this path, Indonesia’s GDP could grow by 5.6% through 2024, and 6.0% through 2045. As many as 15.3 million jobs could be created in 2045, while poverty could drop from 9.8% to 4.2% of total population. Meanwhile carbon emissions could fall by 43%, exceeding the country’s pledge to the Paris Agreement, the report found. On top of economic and climate benefits, such policies would ensure that the country keep 41.1 million hectares of primary forests, including nearly 15 million hectares of peatlands, by 2045. In 2008, Indonesia’s president Joko Widodo signed a three-year moratorium on new palm oil development and ordered a review of existing plantations. Green groups have however pointed to weaknesses within the law, such as its restricted application to land controlled by the ministry of forestry. This leaves out millions of hectares of rainforest and peatland from areas controlled by regional government or forest within existing palm oil concessions. Indonesia’s move to embrace the initiative comes amid a flare-up of tensions with the EU over restrictions over palm oil products. In February, the EU moved to classify palm oil biofuels as unsustainable. Indonesia has responded by threatening to launch a trade war against the bloc. Malaysia, another large palm oil producer, has threatened to buy military aircraft from China, rather than the EU. Late last month, the Indonesian government notably said that it would encourage the country’s palm oil companies to file lawsuits against the EU if the bloc goes ahead with a plan to phase out use of the commodity in renewable transport fuel.